2014 64 FORD C-MAX 2.0 TITANIUM TDCI 5d AUTO 138 BHP! p/x welcome! AUTOMATIC! 2 OWNERS! 37K MILES ONLY! PARKING SENSORS! CRUISE & CLIMATE CONTROL! BLUETOOTH! AUX & USB PORTS! FULL SERVICE HISTORY! START/STOP BUTTON! VOICE RECOGNITION! FINANCE AVAILABLE! NEW MOT & SERVICE! AA WARRANTY & BREAKDOWN! 2 OWNERS+FSH+AUTO+SENSORS+AUX+37K MILES ONLY+CRUISE & CLIMATE CONTROL+B-TOOTH+USB+VOICE RECOGNITION+START/STOP BUTTON+NEW MOT & SERVICE! Cruise and Climate Control! Automatic! 2 Owners / Full Service History! Bluetooth/ Voice Recognition/ Aux + Usb! Parking Sensors / Start / Stop Button!! 2009 59 FORD S-MAX 1.8 TITANIUM TDCI 6SPD 5d 125 BHP! p/x welcome! SAT-NAV! NEW DUAL MASS FLYWHEEL+CLUTCH 2018! NEW TIMING BELT DONE 2018! 2 F/KEEPERS! 6 SPEED! CRUISE & CLIMATE CONTROL! AUX PORT! PARKING SENSORS (FRONT+REAR)! GOOD SERVICE HISTORY! 7 SEATS! FINANCE AVAILABLE! EXTRA STORAGE! NEW MOT! FULL SERVICED RECENTLY! AA WARRANTY & BREAKDOWN COVER! NEW CLUTCH+FLYWHEEL & CAMBELT+SAT-NAV+CRUISE&CLIMATE+7 SEATS+AUX+SENSORS+6 SPEED+GOOD S-HIS+NEW MOT&SERVICE! New Clutch+Dual Flywheel+ Cam-belt Done! Cruise and Climate Control! SAT-NAV! AUX Port! 7 Seats! 6 Speed! Parking Aid! Good Service History! New MOT & Service! AA Warranty & 12 Months Breakdown Cover! 2009 59 FORD C-MAX 2.0 TITANIUM TDCI 5d 135 BHP! p/x welcome! AUTOMATIC! HALF-LEATHER! CRUISE & CLIMATE CONTROL! AUX & USB PORTS! PRIVACY GLASS! PARKING SENSORS (FRONT+REAR)! EXTRA STORAGE! SUN-BLINDS! AUTO LIGHTS! FULL SERVICE HISTORY! NEW MOT & SERVICE! FINANCE AVAILABLE! AA WARRANTY & BREAKDOWN COVER! AUTO+H-LEATHER+CRUISE&CLIMATE CNT+SENSORS(F+R)+FULL SH+AUX&USB+EXTRA STORAGE+SUN-BLINDS+NEW MOT&SERVICE! Extra Storage! Sun-Blinds! Finance Avb! Full Service History! New MOT & Service! 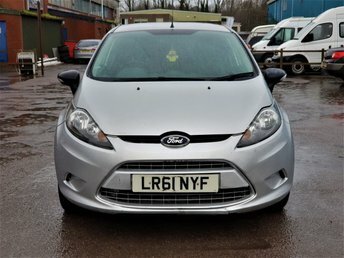 2008 08 FORD FIESTA 2.0 ST 16V 3d ! p/x wel come! 148 BHP! TOUCH SCREEN STEREO! FULL HEATED LEATHER SEATS! UPGRADED SUSPENSION! AUX PORT! BLUETOOTH! LOW MILEAGE! BLACK ALLOYS+RED CALIPERS! ESP CONTROL! FULL SERVICE HISTORY! NEW MOT & SERVICE! AA WARRANTY & BREAKDOWN COVER! 148 BHP+TOUCH STEREO+BLUETOOTH+AUX+HEATED LEATHER+UPGRADED SUSPENSION+ESP CNT+FULL S-HIS+NEW MOT&SERVICE! Touch Screen Stereo! Aux/ Bluetooth! ST Sport Full Leather Heated Seats! 2007 57 FORD FIESTA 1.6 ZETEC S 16V 3d 100 BHP! p/x welcome! 2 OWNERS! AUX PORT! CD-PLAYER! AIR-CONDITIONING! FOG LIGHTS! 76K MILES ONLY! ALLOY WHEELS! FULL SERVICE HISTORY! NEW MOT & SERVICE! AA WARRANTY & BREAKDOWN COVER! 2 OWNERS+AIR-CON+AUX+CD-PLAYER+76k miles only+FSH+FOG LIGHTS+ALLOYS+NEW MOT&SERVICE+AA WARRANTY! Fog Lights! Sports Type Front Seats! 2011 61 FORD FIESTA 1.6 ECONETIC TDCI DPF 1d 94 BHP! CD-PLAYER! AIR-CONDITIONING! CHEAP INSURANCE! NO VAT PAYABLE! NEW MOT! PART-EX CLEAR! ENGINE, GEARBOX, CLUTCH ALL PERFECT! NO WARRANTY PROVIDED! CD-PLAYER+AIR-CON+CHEAP INSURANCE+DIESEL CAR/VAN+NEW MOT+PART-EX CLEAR+NO WARRANTY PROVIDED! In Car Entertainment - Radio//CD Player! Full size alloy spare wheel! NO VAT! Engine, Clutch, Gearbox, All Perfect! Part-Ex Clear! No Warranty Provided! Gondal Enterprises Ltd is the number one destination for used Ford cars in Cardiff. We specialise in supplying quality pre-owned vehicles and you can rest assured that each car on our forecourt has undergone a thorough inspection prior to going on sale. With a wide range of used Ford cars to choose from, you're sure to find a model that meets your needs. The Ford Fiesta is the UK's best-selling car of all time and a great choice for drivers who want a stylish supermini. Turn to a used Ford Mondeo to experience executive class, or be sure to test drive a used Ford S-Max if space is your number one consideration. Browse our latest range of second-hand vehicles now. Finance is available to UK residents aged 18 years or older, subject to status. Terms & Conditions apply. Indemnities may be required. Other finance offers may be available but cannot be used in conjunction with this offer. We work with a number of carefully selected credit providers who may be able to offer you finance for your purchase, commission may be received. We are only able to offer finance products from these providers. Postal Address: Gondal Enterprises Ltd, 1 Watford Road, Cardiff, South Glamorgan CF24 1RY. Find contact details here. Gondal Enterprises Ltd is authorised and regulated by the Financial Conduct Authority, FRN: 745469. All finance is subject to status and income. Written Quotation on request. We act as a credit broker not a lender. We work with a number of carefully selected credit providers who may be able to offer you finance for your purchase. We are only able to offer finance products from these providers.